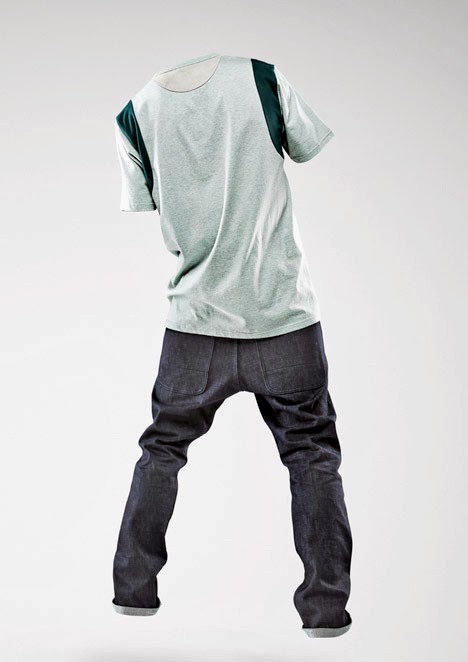 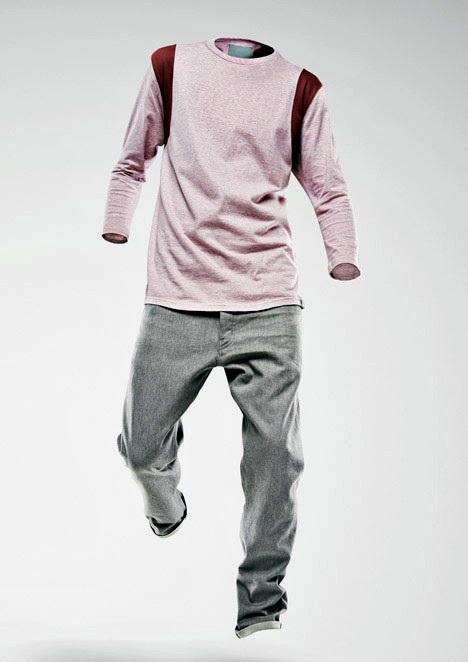 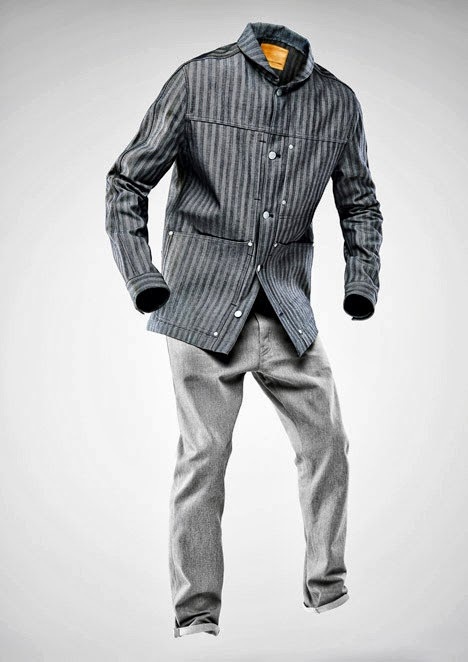 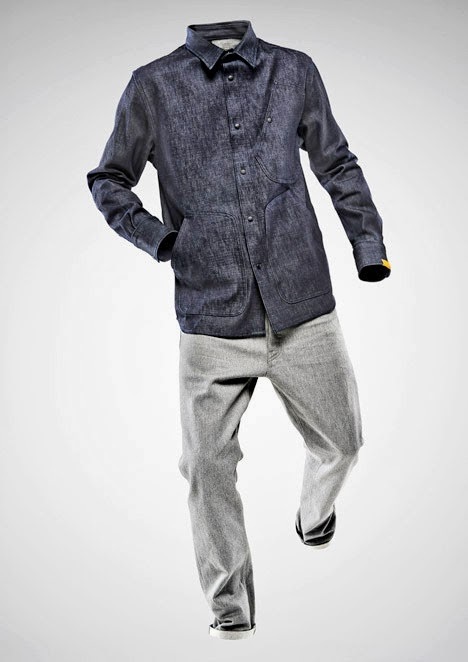 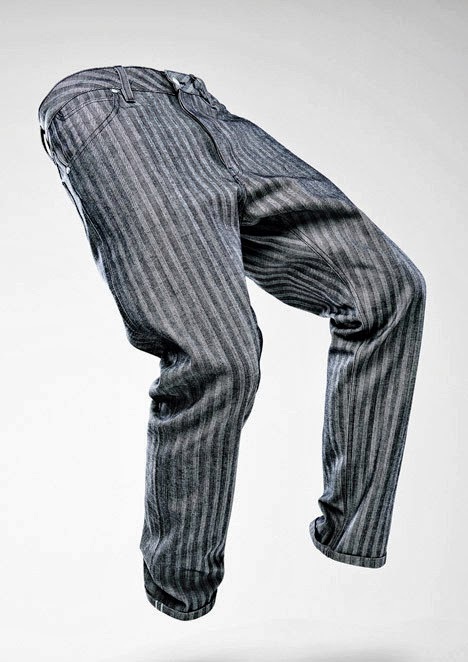 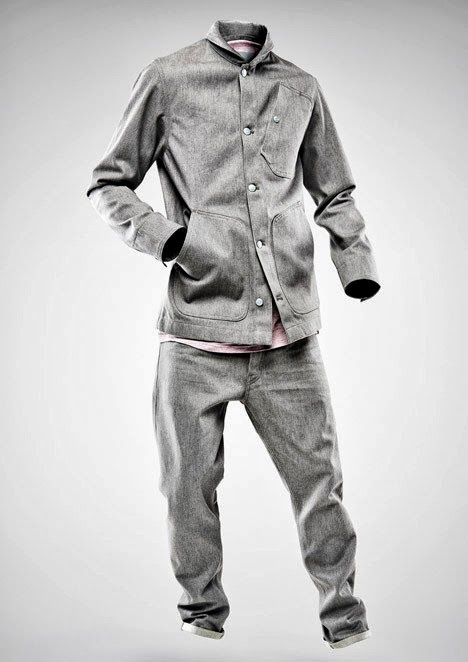 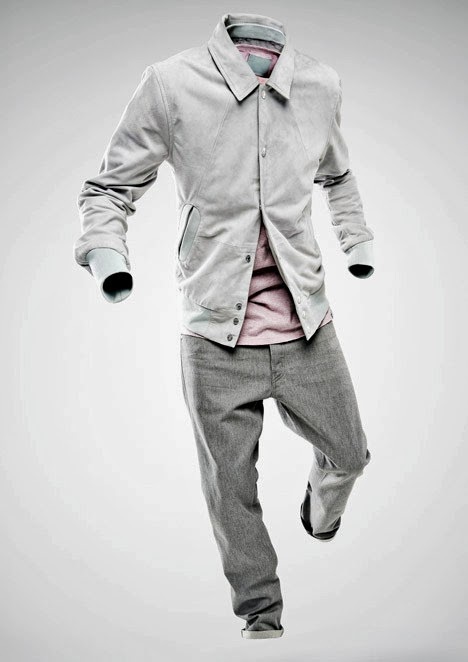 Dutch clothing, footwear and accessories brand G-Star RAW has collaborated once again with Australian-born and London-based designer Marc Newson to create a menswear collection for Spring/Summer 2014. 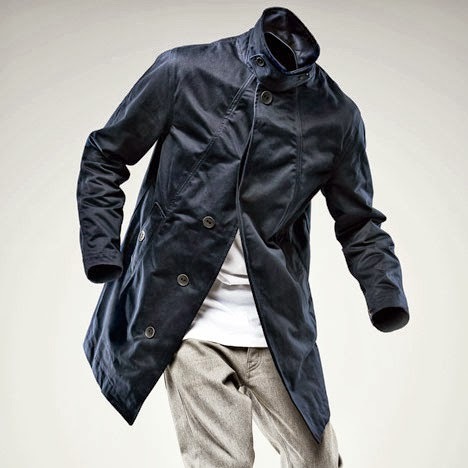 Underpinned by a utilitarian approach to clothing and drawing inspiration from American sportswear, the collection is the latest output from the ongoing creative partnership that Newson and G-Star RAW established in 2003. 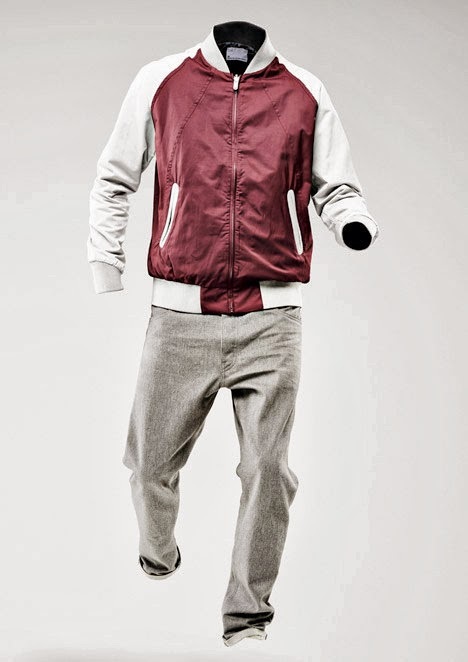 The capsule collection resorts to denim as the fabric of choice and includes pieces such as a grey suede bomber jacket, a five-pocket worker jacket made from stripy grey denim with matching trousers, a navy trench coat with an A-line silhouette, long sleeved T-shirts in pastel colours with contrasting bands around the shoulders, and a reversible baseball jacket in red and white fabric on one side and dark blue on the other.